I am not a masochist, but I remember West Indies fondly. Any Indian cricket fan in his forties or older knows what I mean. Again and again, for over a decade-and-a-half, West Indies thrashed us as we moaned in awe and ecstasy. 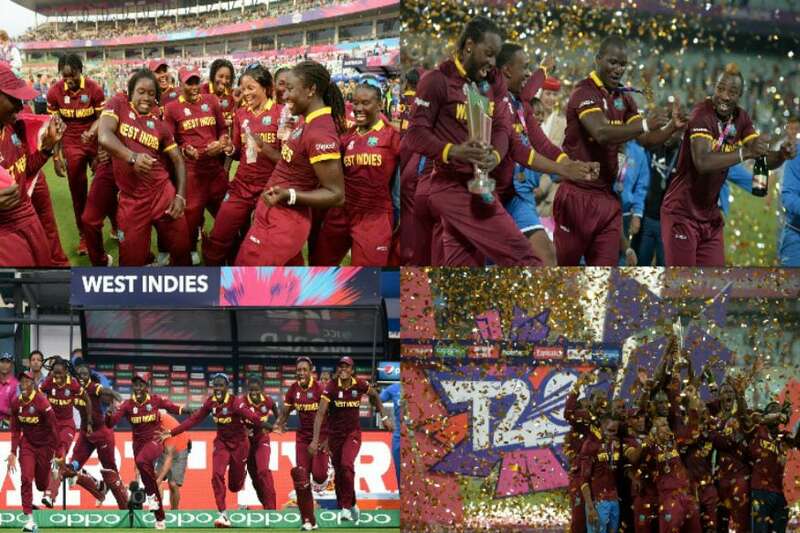 We hated losing to Pakistan and England and Australia, but there was no point hating West Indies because defeat was imminent anyway, and if you did not love their players, you could not love cricket. Viv, of whom it was once said that he “held his bat like a Stradivarius violin,” though bowlers across the world heard nothing from it but a dirge. Brooding Lloyd, leading a team where the magnificent Greenidge and Haynes opened, where great fast bowlers were so plentiful that in one tour, as Simon Lister writes in Fire in Babylon, “Malcolm Marshall couldn’t get in the side and Wayne Daniel couldn’t even get on the plane.” As an Indian fan, you could not resent them being better when they were so very good. The Indian hero was he who stood up and fought, not he who won, because, hey. It’s enough to bring on a midlife crisis that West Indies is now in India for a Test series, and we are sure to crush them. The Indian side has improved, yes, but that is irrelevant. If Lloyd and Co came to India, they’d end careers. Not this lot. How did it come to this? 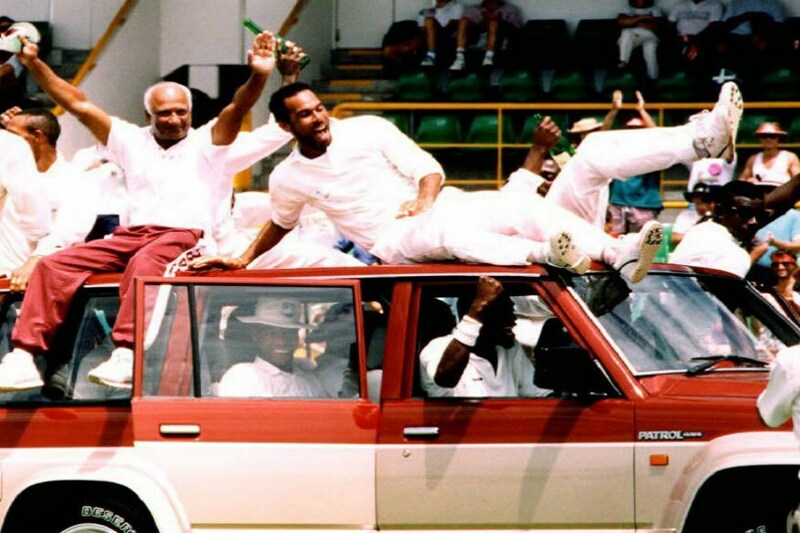 Greatness provokes talent, and you’d imagine that a generation of young West Indian kids would be inspired by geniuses like Richards-Lloyd-Greenidge-Haynes, that young fast bowlers would have posters of Roberts or Holding or Marshall or Garner or Croft or Daniels or Davis or Ambrose or Walsh in their rooms – you get the drift. So what happened?I will offer three broad explanations here – though civilizational decline, as this feels like in a cricketing context, happens, as the Chinese would say, by a thousand small cuts. These cricketers were descendants of slaves, and condescended to even as free men. West Indies was not captained by a black man, except for interim periods, until 1959, when Frank Worrell assumed charge. Despite periods of dominance under Worrell and his successor Garry Sobers, they were not at par with the traditional powers. Their cricketing icons were paid like menial labourers by their own board – Worrell had to sell his house to survive at the peak of his captaincy in 1961 – and treated as a curiosity by others. Does that anger and sense of higher purpose move as many West Indian kids today? I can’t answer that sitting where I am, but to the extent that it does, it is expressed in different directions. Just as in India, history was destiny. Cricket is the biggest sport here because we were colonised, and our masters gave it to us. Ditto in the West Indies. In both lands, it has taken decades to go beyond this – and the West Indies have done it faster than us partly because of their proximity to the United States. And it’s not just basketball. Usain Bolt also played cricket, you must remember – but chose another calling. It is possible that the Clives and Vivs and Mikeys of this generation simply chose other options. I lament this as a selfish cricket lover, but I’m not sure it is lamentable. Thousands of talented young athletes are making rational choices – and there are good reasons not to turn to cricket when there is so much else. What is this decline of West Indies that we talk about? It is their decline as a Test cricketing power. But, as I mentioned in an earlier column, Test cricket itself is in decline. The incentives for players have changed, and they now optimise their skills for the shorter, more lucrative forms of the game. The idiocy of the West Indian board has meant that their best players don’t get picked in the shorter formats of the game either, but some of the best Twenty20 players in the world today are West Indian. Their dominance in the World T20 that they won was similar of that of Lloyd’s men in the first two ODI World Cups. West Indians are the stars of almost every T20 league in the world, including the IPL in India, where fans can gape at the genius of a Gayle or a Pollard or a Narine or a Russell without national pride being on the line. Much as I am tempted to invite purist trolling, though, I am not going to claim that a full-strength WI T20 side today should be spoken of in the same breath as Lloyd’s men. These are different sports, to begin with, and no one laments more than me the unequal contest that the coming India vs West Indies Test series will be. It’s sad, but the world has changed, and this is how things are now. You can’t turn the clock back. As I said, it’s enough for a bloody midlife crisis.